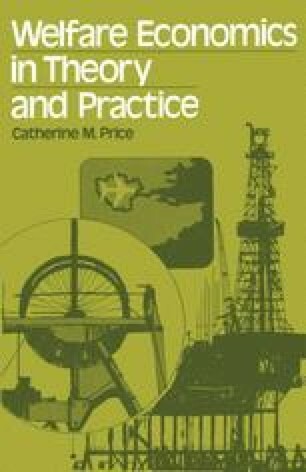 The previous five chapters have discussed how principles based on economic theory can be developed to act as guidelines for public policy decision-making. The various arguments showed clearly some problems of applying ‘abstract’ economic ideas to the practical world, even though there was no detailed attempt to develop policy rules as such. That is the objective of this and the next three chapters, and many more difficulties will arise in the move towards interpreting as concrete policy criteria the principles developed earlier. The division of decision-making areas between the four chapters of this section is largely for convenience, since it is impossible to consider any part of public policy in isolation from the rest, but without some categorisation the problem becomes very unwieldy.